In reference to Adv. No: DAS (V)/01/18, Naval Dockyard Apprentice School Visakhapatnam, Indian Navy is recruiting the eligible candidates for 275 Trade Apprentice Vacancies. Interested & Eligible candidates have to fill & submit Naval Dockyard Visakhapatnam Apprentice Recruitment 2018 Application form on or before 5th December 2018. Other details about Indian Navy Naval Dockyard Vizag Recruitment 2018 Notification including Eligibility Criteria, Vacancy count, Selection Process, Salary, How to Apply, etc are provided here. This is a good opportunity for the ITI Pass candidates who wish to appoint for Indian Navy Jobs 2018. The Indian Navy, Naval Dockyard Apprentice School Visakhapatnam has announced the Notification to fill 275 ND Apprentice Vacancy 2018. Visakhapatnam Naval Dockyard Recruitment 2018 Applications are invited from ITI qualified Indian National candidates for apprenticeship training in the following designated trades for a period of one/two years at the Naval Dockyard Apprentices School, Visakhapatnam, [DAS (Vzg)] for the Training Years 2019-20/21 batches in accordance with Apprentices Act 1961 and Apprentices (Amendment) Act 2014. Candidates who have passed SSC with ITI in the relevant trade are eligible to apply for Naval Dockyard Visakhapatnam Apprentice Vacancy 2018. The Steps to be followed for Naval Dockyard Visakhapatnam Apprentice Recruitment 2018 Online Registration at www.apprenticeship.gov.in are as provided in the below sections. Also, gather the further details of Naval Dockyard Visakhapatnam Recruitment 2018 Notification in this article. The important parameters which candidates have to fulfill in order to apply for Naval Dockyard Visakhapatnam Recruitment 2018 are as follows. Candidates should have passed SSC / Matric / Std X with a minimum of 50% (aggregate) and ITI (NCVT) in relevant trades with minimum 65% (aggregate) to apply for Naval Dockyard Visakhapatnam Jobs 2018. Weight: minimum – 25.4 Kg. Other standards as per Apprentices Act 1961. The further details of Naval Dockyard Visakhapatnam Apprentice Recruitment 2018 like Application Fee, Selection Process, Salary Offered, etc. Candidates have to pay the application fee for Naval Dockyard Visakhapatnam Vacancy 2018 as per the norms of the organization. The officials will offer a good pay scale to the selected candidates for ND Apprentice Jobs 2018. The following are the step by step procedure to be followed by the applicants for applying for ND Apprenticeship Training Recruitment 2018. For your easiness, while applying for Naval Dockyard Visakhapatnam Apprentice Jobs 2018, we have shared here. Candidates are required to register his/her candidature at the web portal www.apprenticeship.gov.in under the NAPS scheme by 5th Dec 2018. On the completion of online registration at www.apprenticeship.gov.in, candidates must apply online for Apprenticeship Training at Naval Dockyard, Andhra Pradesh website. Log on to www.apprenticeship.gov.in. The Homepage of the website would open. Click on Apprentices module in the home page. Select & Click on Candidate Registration in the drop-down menu. A page titled Registration form for apprenticeship training would open. Fill the personal details, contact details, qualification details (academic & technical both), trade preference details in the Vizag Naval Dockyard Recruitment 2018 Application form. Upload the passport size photo, Date of Birth Document and submit it. Go back to the Homepage of www.apprenticeship.gov.in & then click on Apprentices module in the home page. Click on Apprentice Activation in the drop-down list. Apprentice Activation page would open. Fill up all details in the Naval Dockyard Visakhapatnam Recruitment 2018 Application form and click on the activate button. 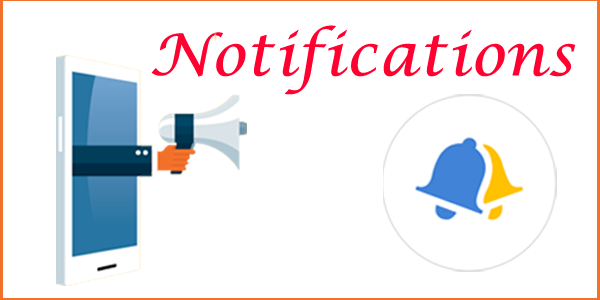 Upon the successful completion of Apprentice Activation activity, a system generated auto mail containing online Registration Number and link for the candidate to apply for apprenticeship training would be sent to the registered E-mail Id. Note down the online registration number for future use and click on the link provided in the e-mail. Go back to the Homepage of www.apprenticeship.gov.in. Click on Apprentices module in the home page. Click on “Apprentice Authentication” in the drop-down menu. Apprenticeship Authentication page would open. Fill up all details in the Naval Dockyard Visakhapatnam Apprentice Recruitment 2018 Application form and click on Authentication button in the form. Candidate Profile would open. Download and take a print out from the web portal for forwarding the same to DAS (Vzg).